No candidate selection process can deliver a 100% success rate—even world class assessors make mistakes from time to time. As long as we are dealing with human beings, we will never achieve a goal of error-free hiring. The critical point is knowing when to take greater risk, and equipping your organization to address hiring mistakes efficiently and appropriately. It’s usually very clear to me when I am dealing with an organization that is experiencing a lot of pain from prior mis-hires. Their entire hiring process carries an air of risk aversion. Their sourcing approach focuses on “tried and true” talent pools at the expense of innovation and diversity. Qualification lists expand and interview lineups get longer and longer. Interview questions are oriented towards minimizing downside risk rather than uncovering the seeds of greatness. And often, the companies that are most risk-averse are the ones that are simply unwilling to address the prior mistakes they have made. While it is critical to take steps to minimize the risks of mis-hires, it is unwise to allow this mandate to dominate your process—particularly if you are growing rapidly. You may achieve your goal of “no bad hires” but fail to achieve the full potential of your business because you are either (1) perpetually understaffed or (2) overly focused on “safe” hires rather than transformational ones. As a general rule, mis-hires are more painful as you move up the management chain. Taking a gamble on a senior executive is likely to be a much riskier proposition than a front-line employee, given the potential for employee attrition and cultural conflicts. Also, it may make more sense to avoid knee-jerk rejections in a “thinner” or more competitive labor pool than in a deep one. False negatives—rejecting an individual who might have been very successful—can be enormously costly in some situations (e.g. experienced data scientists) and lower cost in others (e.g. marketing associates coming out of college). Finally, it may make more sense to take risks in areas where individual performance is easier to measure quickly (e.g. sales roles with clear quotas), or where individuals are likely to build new skills quickly and improve performance over time. Tip: When building your spec for a new role, assign the role two quantitative ratings: (1) cost of a mis-hire and (2) cost of a false negative (rejecting a candidate who may have been successful). If (1) is relatively high and (2) is relatively low, maintain an exceptionally high bar. If it’s the reverse, consider embracing greater risk. For example, if you have a strong culture around radical transparency and honesty, you may be unwilling to take even a slight risk on a candidate who expresses defensiveness about his/her shortcomings, while viewing another skill area (perhaps ability to multi-task) with more open-mindedness. Tip: For all essential results or competencies on your job spec, establish clear thresholds/minimum ratings of candidates in those areas. Do not compromise! For less essential results or competencies, consider candidates who may fall slightly below the mark in one area, but who show clear signs of greatness in others. Some organizations are better-equipped to deal with mis-hires than others, without question. Why? Because they are able to “fire fast”—to part ways with weaker performers in a transparent and highly supportive manner. The most effective way to build this discipline is to clearly communicate expectations to new hires from the start, and to track performance at regular intervals thereafter. Doing so will prepare new hires—and you—to make future performance management discussions (coaching, role changes, removals) far more painless. New hires will know what you expect and will know when they are missing the mark. Tip: Prior to the new hire’s start date, include a thorough debrief in which you share the specific results they are accountable for and the qualities you need them to exhibit. Check in with them at an appropriate time—perhaps at the 2 month point—to gauge progress. If they are falling behind the mark, provide coaching and support. If their performance continues to lag expectations thereafter, discuss the gap openly, and support them in finding a new role in your company or elsewhere. It is essential to maintain a high bar in your hiring process, of course. But creating a process that is exclusively focused on “zero risk” can threaten both your hiring targets and your pursuit of intellectual and demographic diversity. Great companies are able to strike a healthy balance, understanding where they can and cannot embrace risk, and creating a process that addresses mis-hires in an efficient and fundamentally humane manner. 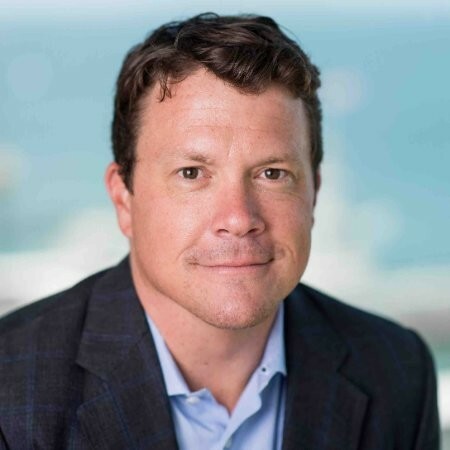 Jordan Burton is the founder of Burton Advisors LLC, a boutique talent advisory firm serving a select group of high growth companies and their investors to help them identify, attract, hire and retain top talent at all levels. He was formerly a Partner at ghSMART& Company and a Case Team Leader at Bain & Company, serving clients in the high technology and private equity industries. His website can be found at www.burtonadvisorsllc.com.